This week's addition to the Wii U Virtual Console is Donkey Kong Jungle Beat. Since GameCube games are apparently still too difficult to emulate, this means it'll be the Wii version of the game you can pick up for $19.99. 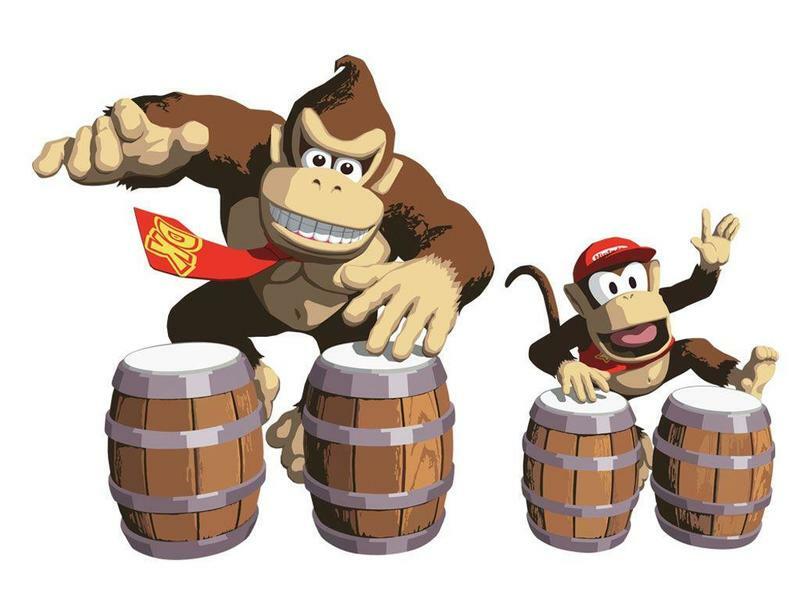 However, the Wii U won't support the ridiculously fun bongos accessory. Instead, you'll have to make do the Wii-mote and Nunchuk to mimic the movements of playing the drums. Donkey Kong Jungle Beat is a great and original Nintendo platformer, but man, does this game get tiring no matter how you play it. Nintendo hasn't properly handled generation shifts when it comes to Virtual Console just yet. I bought a ton of games on the original Wii, but a good many of them never became available natively through the Wii U. Those that did required a small but fair price to be played, and those that didn't actually pushed me into the cumbersome Wii menu. The Wii U's system wasn't perfect, but it at least got the job done semi-competently. But then the Nintendo 3DS got Super Nintendo games, and Nintendo offered no kind of discount for those who already picked them up on the Wii or Wii U. It was a maddening turn-off for those who have already paid for Link to the Past five or six times by now to have to pay full price yet again just to play it on a portable platform. So while I love the idea Virtual Console, Nintendo still has a long way to go to make it a convincing long-term solution for classic games. I'm not spending another dime on it until Nintendo makes its plans clear for the Switch. Will there be a discount for the Wii U games you bought? Since it is also a portable device, does this mean there is going to be a discount on the Nintendo 3DS games you've already bought? What if you bought a Super Nintendo game twice? Will Nintendo get it right this time and honor your purchases for cross-generation releases with no extra charges? Will Game Boy Advance games finally be emulated on a portable console? What about GameCube games? Will the Switch even offer any type of emulation or remaster? Too many questions remain unanswered for Virtual Console just now, and I don't think its games are a secure buy until Nintendo makes its stance clear on the Switch.